Zucchini noodles!!!!!! And the term “à la Grecque” (in the Greek-style) here refers to the black olives and feta that I’ve added to these zucchini noodles. I heated them a little bit in a pan with some olive oil, black olives, and onions, and then added small cubes of salty feta. Ooooh, a rich noodly treat — and a great way to get in a couple servings of veggies! I can’t wait to try out more veggie-noodle options — I’m thinking of an Asian-inspired almond butter dressing cold zucchini noodle salad. Mmmm. 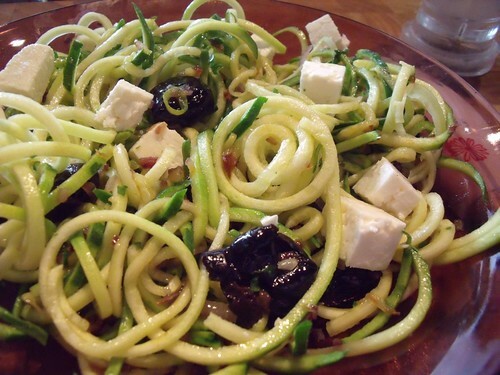 But for now: Greek-style zucchini noodles! 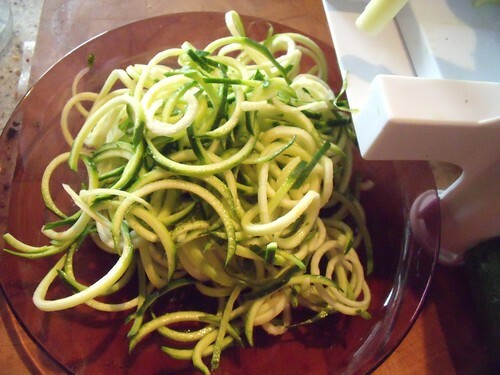 Slice off the ends of the zucchini, and then turn them into noodles using either a spiralizer or a vegetable peeler. In a large pan over low heat, sweat the onion until translucent. Add the zucchini and heat through, cooking for about 3-5 minutes. Add the olives and stir. Garnish with the feta, and serve warm. Yum. I love that thing, I have gadget envy, I want one!! 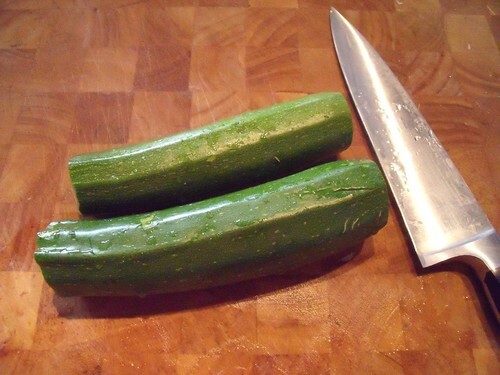 Oh, i love the look of that courgette cutter. I want! 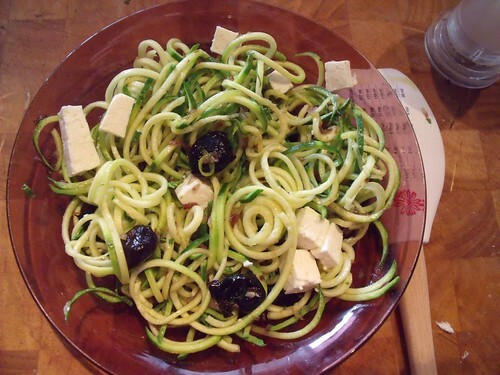 I love the idea of courgette noodles, so healthy, different and tasty. I bet they were good with that simple combo with feta and onion. 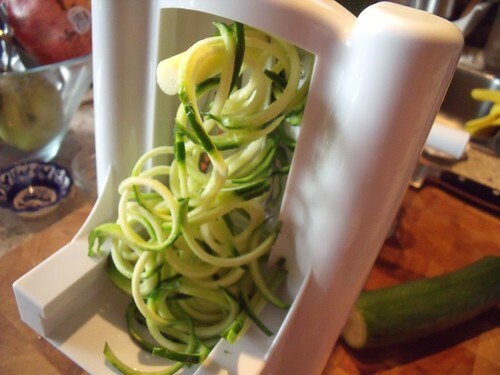 Loving the super spiralizing action! Your gadget looks WAY more efficient than mine – I get RSI trying to twist out a bowl of veggie-spaghetti by hand. Need one of those heavy duty machines! Yes, it is the best invention ever. EVER! 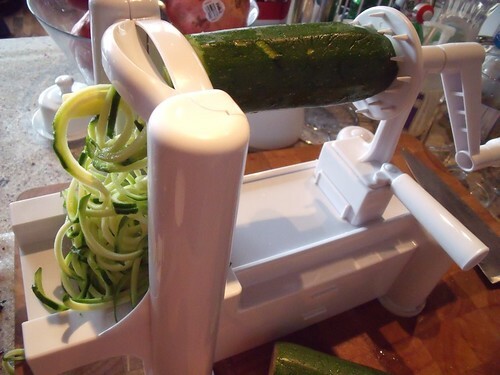 I’m definitely eating more veggies with this contraption, I love it!